On this page you will find various titles available for purchase. 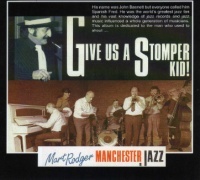 If you would like to buy any of our CDs, tapes or DVDs, please download the Order Form, fill it in and post to Mart Rodger Manchester Jazz Bowstone Records, 18 Fletcher Drive, Disley, Stockport, SK12 2ND, UK. 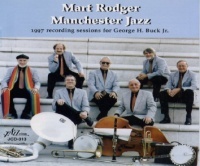 Mart Rodger Manchester Jazz play jazz in a Traditional/Dixieland vein and include some unexpected pieces in their repertoire. 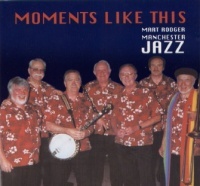 Mart and the band specialise with a swinging happy, foot tapping kind of music which is presented and featured on the CDs, Tapes and Videos listed below. 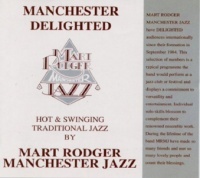 Bowstone Records is the home label for recordings by Mart Rodger Manchester Jazz. Title track, Music and Lyrics by Colin Smith, bass player with the band. 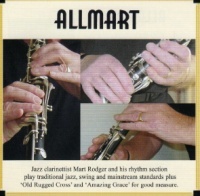 ALLMART: Bowstone Records – First track — All others November 2007. 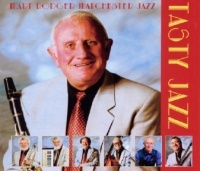 TASTY JAZZ: Bowstone Records – Recorded 9th & 10th February 2005. 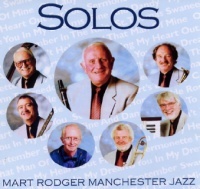 Solos: Bowstone Records – Recorded 9th & 10th February 2005. 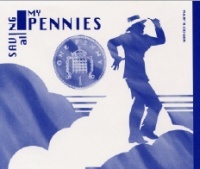 Moments Like This: Bowstone Records – Recorded 2001. 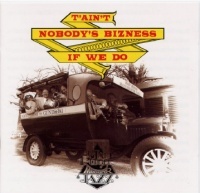 1997 Recording Sessions for George H. Buck Jr. Commisioned for the Jazzology Record Label of New Orleans. Number JCD-313. 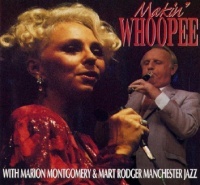 Makin’ Whoopee– Special guest Marion Montgomery* sings with the band: Bowstone Records – Recorded 1993. 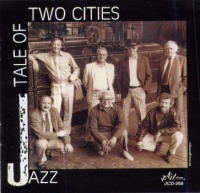 Jazz Tale of Two Cities: Jazzology: First recording by the band. Give Us A Stomper Kid! Bowstone Records: Now available on CD or Cassette Tape with four extra tracks from the original LP recorded in 1989. 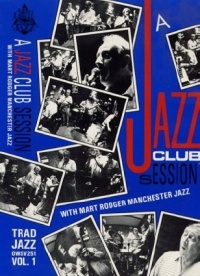 A Jazz Club Session With Mart Rodger Manchester Jazz: 58 minute DVD recorded at The Free Trade Hall, Manchester to full broadcast standards in 1989.